Hello! My name is Sam, and I’ve seen Mean Girls more times than I can count. It’s Wednesday as I’m writing this, and I even “accidentally” wore pink to work today. Or maybe it’s just so ingrained in my mind. WHO KNOWS?! Anyway, I decided to re-watch the movie again (I was feeling inspired by Ariana Grande’s “thank u, next” music video, I think), and let me just say, I have a bunch of questions about Mean Girls now! 1. Like it just dawned on me. 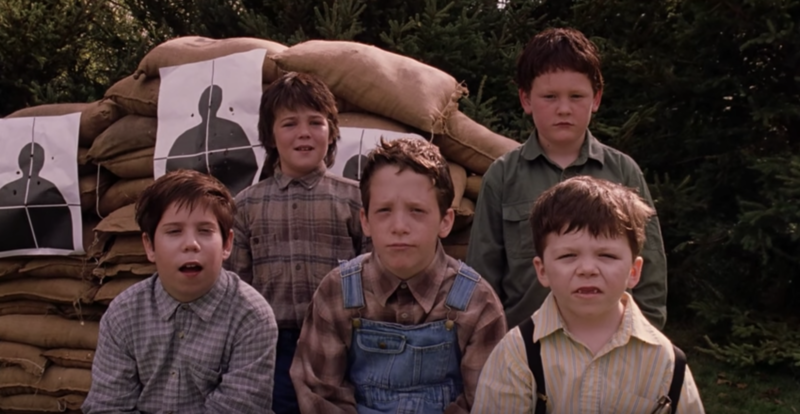 Did these redneck, homophobic kids grow up to be MAGA voters in the Mean Girls cinematic universe? 2. Also, is it just me or is it incredibly insane that there was an open flame on the high school lawn? My school NEVER would have allowed this! 3. It sounds like the student who says, “I’m from Michigan,” is new too since she doesn’t say she’s from “around here.” So why doesn’t Principal Duvall give her a new student introduction too? 4. Eating in a toilet stall is incredibly unsanitary, isn’t there SOMEWHERE else Cady could find to have her lunch alone? 5. 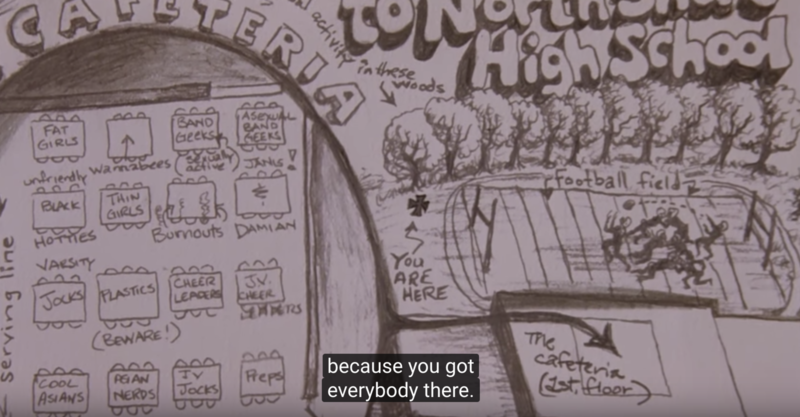 Honestly, I could stare at the cafeteria map for hours, it’s that detailed. But one thing I just noticed is the “Wannabees” table is spelled like a portmanteau of “Wannabe” and “Bee”, which is pretty clever, because the movie is based off the book Queen Bees and Wannabes. 6. 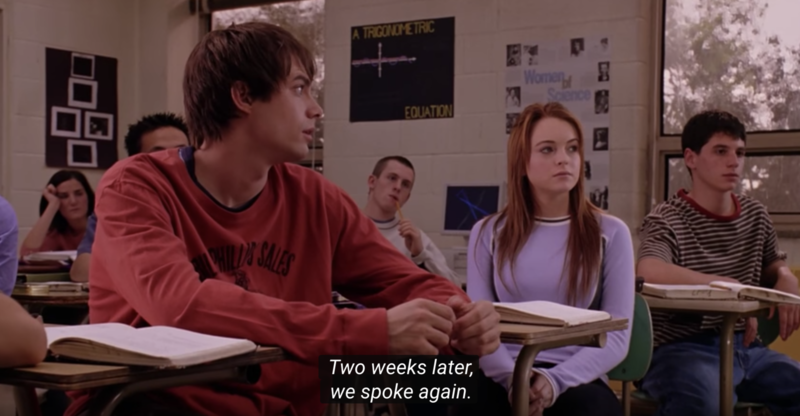 I also find it hard to believe that Aaron and Cady don’t speak for a two-week period, despite the fact they sit back-to-back in math class together. How’d that happen? 7. Regina doesn’t have oily skin, so why would a secret moisturizer sabotage her face? If anything, it would help! 8. Cady mentions that the Plastics have rehearsals for their “Jingle Bell Rock” number. So why does Regina wait until they’re literally about to go on to swap Cady and Gretchen’s places? Doesn’t seem practical! 9. I’m not a physicist, but I’ve never been able to wrap my head around how Cady perfectly flips into the garbage can by accident. Really, would that be possible? 10. If three-way calls are one of Regina’s weapons of choice, wouldn’t she be a little more cautious about being ambushed by Cady on the phone? 11. Janis screams at Cady for being a “mean girl”, but she set up her friend to lead an insane double life to sabotage ANOTHER girl. Doesn’t that make her a mean girl too? 12. 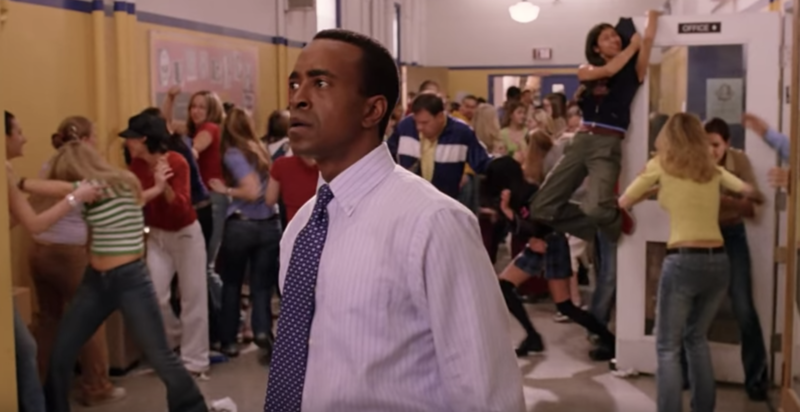 When all the students are fighting each other, it seems to mainly be female students in the hallways. But where are all the guys? 13. Did you know that suddenly feeling the need to poop while in bookstores is an actual phenomenon? Gretchen wasn’t alone! 14. OK, the bus would have actually killed Regina, right? She got hit SO HARD. 15. 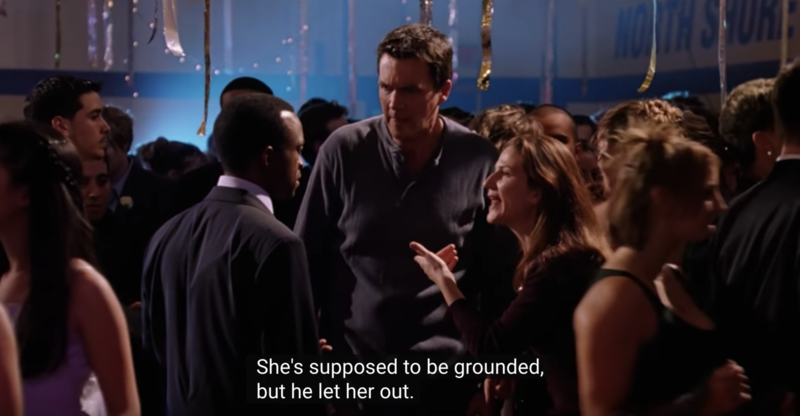 Why were Cady’s parents so upset about competing for the Mathletes when she was grounded? It wasn’t really a social function, it was an academic commitment she needed to complete for extra credit! 16. 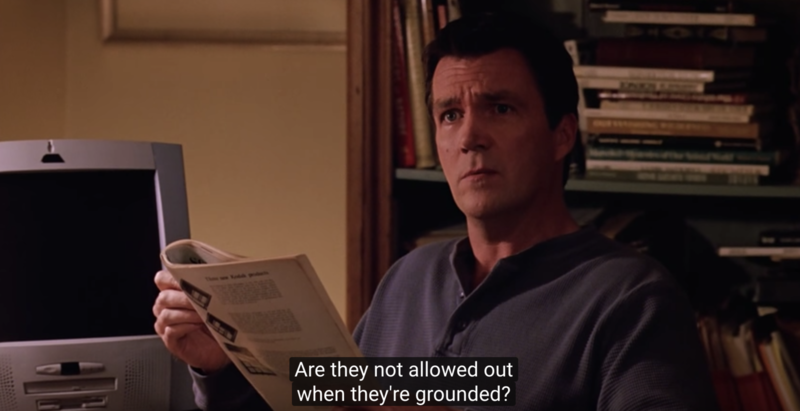 Also, how did they have NO idea where she was, especially when she was supposed to be grounded?! 17. If Kevin was so excited for the team to get jackets, why wouldn’t the Mathletes rock them before their biggest competition of the year, instead of just unpacking them afterword? Seems a little anticlimactic to me! 18. And finally, this isn’t much of a question, but I’ll still never get over the fact that Janis is “Lebanese” when she was freaking out the entire movie about being accused of being lesbian. We LOVE word play.